TFWA Cannes is an annual prestigious show held at the Palais des Festivals et Congrès for established and emerging brands in the competitive duty free and travel retail sector, with many participants choosing the show to launch exclusive ‘world first’ products. 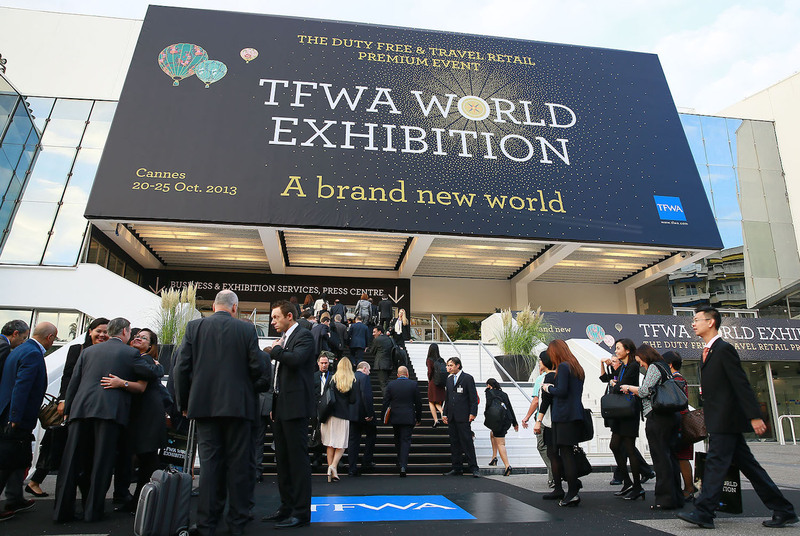 TFWA Cannes 2015 is scheduled for 18-23 October 2015 and has already received 460 pre-registrations from exhibitors who will be competing for the attention of travel retail buyers, distributors and media. This year, the registrations include 6 yachts moored beside the Palais that are part of the TFWA Cannes 2015 Exhibition. Exhibition participants get the opportunity to forge industry networks, showcase their brand and attend talks and seminars from leading global thinkers. We have compiled this article with tips and advice for participants attending TFWA Cannes 2015 – enjoy the show! Registrations for TFWA Cannes 2015 are continuing to add up, and exhibitor numbers are expected to match – or exceed – 2014’s figures. While online pre-registration is now closed (you can still register onsite in Cannes) this strong push in participants proves the value of this trade event. The duty free and travel retail market has not been entirely rosy over the past year or so with many global influencing factors affecting the growth rate of the sector. Some of these factors include changing consumer preferences in Asia (particularly China), political instability (again in Asia), the collapse of the Russian rouble following the Ukraine crisis and falling commodity prices, and online shopping trends. The good news is 40 companies are first-time exhibitors at TFWA Cannes 2015 or returning after an absence; newcomers include Roberto Cavalli, Diesel, Freixenet, and Crystal Head Vodka, with returns from Elizabeth Arden and Ermenegildo Zegna to name a few. As expected, wine and spirit exhibitors will feature strongly with new products and entrance into a competitive market. Look for Champagne Drappier, who are recognising the nomadic tendencies of consumers to travel and branching out into duty free and Rossi D’Asiago’s century-old recipe that ends up as Antica Sambuca Classic. The Sunday before the event will feature a charity run on the Croisette, a pétanque competition and charity golf tournament. Sunday evening is the invitation-only Opening Cocktail at the Carlton Hotel rounded off with a fireworks display. From Monday 19 to Thursday 22 October, The Scene at the Gare Maritime hosts DJ’s and a place for attendees to let down their hair! You must show your event badge. On Thursday 22 October, the action moves to Port Pierre Canto in the evening for the invitation-only Le Premium Evening where you can enjoy a top-class dinner followed by a show by Cirque Eloize. TFWA Cannes 2015 will feature world-class speakers that will discuss business and geopolitical insight relevant to the market. This year, the main conference session will be held on Monday 19 October and conference keynote speakers will be former New York City Mayor Rudy Giuliani, TFWA President Erik Juul-Mortensen and Peter Long, Joint CEO of TUI Group. TUI is the world’s largest leisure, travel and tourism company and operates several airlines, hundreds of hotels plus a dozen cruise ships. A free Market Watch breakfast workshop will be hosted at the Majestic Hotel on Tuesday 20 October with the focus on South Korea, the world’s largest single duty free and travel retail market whose airport and downtown sectors are flourishing thanks in part to a surge in Chinese visitors and allocation of duty free licenses. On Wednesday 21 October, two workshops will discuss the challenges of inflight retail ( Inflight Focus workshop) and findings from research studies (TFWA Research). Business Centre with internet access, photocopying, fax service, mail service, secretarial assistance. Free Wifi is available inside the Palais. Technical support is offered at the Viapass desk on Level -1 at the Red Village during show hours. Members and buyers with full delegate status will have access to the TFWA Lounge located on Level 3 of the Palais. Here you will find a bespoke concierge service, internet, private bar with complimentary drinks and snacks, massage service and charging station. Additional charging station at the Riviera Village rest area (sponsored by electronics supplier, Skross). Level 1 at the Golden Village will host a Well-being Lounge. Open to all delegates, there will be massage and hairdressing services. Flights: Preferential airfare discounts to Nice Côte d’Azur Airport with Air France and KLM if passengers are travelling in the following classes of travel: Espace Affaires (Business) and Economique (Coach). a 15% rebate applied on published non-restrictive public fares. • a reduction of -5% is granted on restrictive-discounted fares. • a reduction up to 47% is offered on domestic flights in Metropolitan France. Disclaimer: Bespoke Yacht Charter is not a sales representative or affiliate for this official website and holds no responsibility for bookings and/or payments made via this portal. Airport transfers: TFWA Cannes offer participants a complimentary shuttle service between Nice Côte d’Azur Airport, selected hotels and the Palais. Refer to the show website for drop-off points and timetables. TFWA Cannes is the pivotal event for any company or individual wanting to showcase their product or brand in the travel retail sector – essentially, this is THE event for anyone who wants to market to international travellers. If you’re looking to stand out from the crowd, Bespoke Yacht Charter have over 12 years’ experience in planning corporate yacht charters in Cannes and we are able to offer luxury yachts and boats during TFWA Cannes. Our professional expertise will amalgamate all the finer details to ensure you get the exposure you deserve. A range of luxury yachts and boats from 25m+ sleeping from 2-20 guests. The TFWA Web App brings you the show schedule, floorplans, exhibitor details and news updates. It is optimised for every major mobile OS. Simply type “app.tfwa.com/WEC” into the browser on your mobile device to access the web app.